The Takahashi FSQ-106N is an excellent wide-field astrograph. It is being carried here by a Mountain Instruments MI-250. 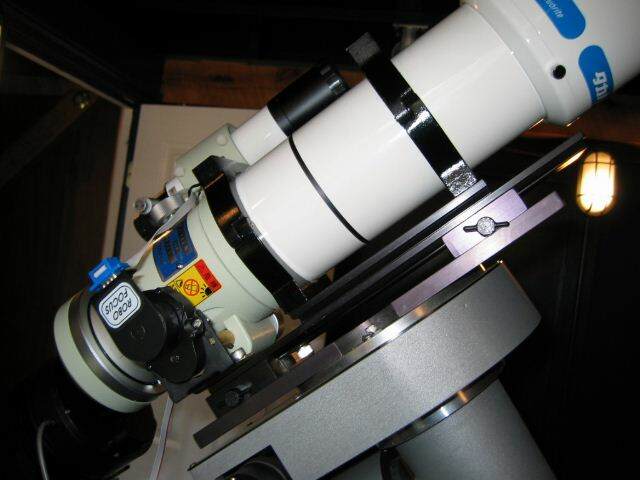 The 12.5" Ritchey-Chretien telescope shown here was manufactured by RC Optical Systems. 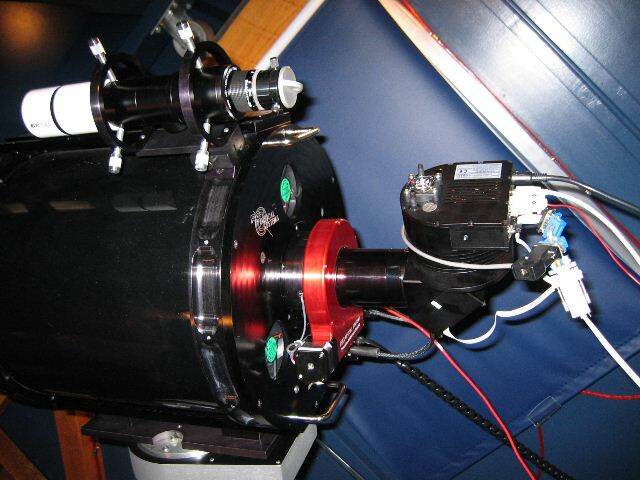 In the optical train is a PIR Precision Instrument Rotator, and an AO-7, an adaptive optics instrument made by SBIG. A Borg 45ED serves as a finder scope.